This week on Legacies the twins return home only to find out that Alaric didn’t pick them up because he was too busy with Hope. 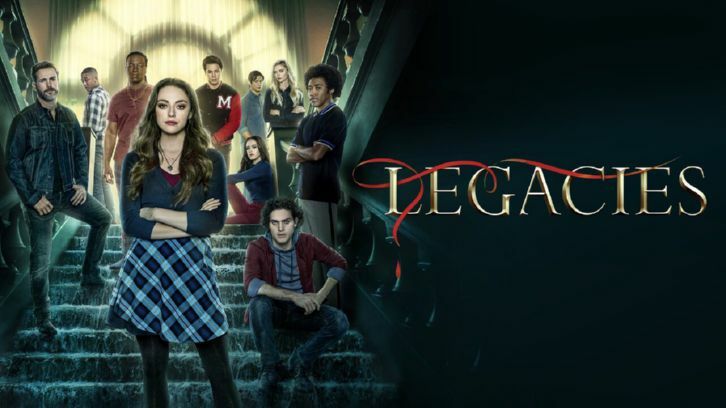 A jinni picks up on Lizzie’s anger and tricks her into making a first wish, which lands her in a reality where Hope never came to the school (which also means no money). But some things are unavoidable and Hope (as a tribrid) joins the school after all. Lizzie then makes her second wish, for the school to have never existed which makes everything so much worse. 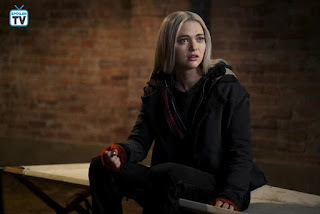 She and Josie, who is very different (similar to Caroline in season of Vampire Diaries) are in public school but Lizzie loses control of her magic and they get rescued by Hope and their former classmates who now go to a similar school that Klaus is in charge of (apparently he lives in this one, how did that happen?). When Lizzie makes her third wish, for Hope to have never been born things really go to hell in a handbasket. Apparently, Klaus started a war with humanity leading to every supernatural creature being hunted down. Lizzie thinks she’s found a way to beat the jinni with her fourth wish but while she does end up back in her own reality, she has forgotten most of what happened (including Alaric telling her about the merger). Her mental stability also seems to have taken a serious hit. Bad decisions: I can’t really review this episode without talking about Lizzie, because there was a lot of her. A little too much perhaps. I knew this was going to be a make or break episode for me where her character is concerned. I was relieved she didn’t really instigate the first wish. But after that, she kept making some really poor choices. She was so fixated on her hate for Hope that she was missing the bigger picture. She wished away her father’s dream to get him away from her, making him more miserable in the process. Josie never confronts her dad because she doesn’t want to make him feel bad, Lizzie is the opposite. But as her entire world started to fall apart (literally), she seemed to finally realize what’s more important. And while she may not remember much of it, some of it does seem to have stuck. Let’s hope we get to see Lizzie grow as a person in the next few episodes, the way we did with Caroline in the early Vampire Diaries years. I don’t know about this part: Some of these alternate realities were a bit hard to swallow. Was I the only one with this issue? For one, I don’t see how Hope not going to that school would have led to her turning and becoming a homicidal maniac. She would’ve still been raised by Hayley and have had Freya and Rebekah to turn to after her parents’ deaths. Though it was kind of cool to see Hope as a tribrid. In the second alternate reality, Josie seemed to have had a complete personality change. I know that her childhood was probably very different but I don’t see how she would’ve changed that much. But it’s nice to know she has a limit to how much of her sister’s crap she can take before she finally snaps. And then there’s the third alternate reality, which was just insane. Sure, Klaus was always a bit of a loose cannon. But starting a war with humanity. This was a guy who lived for nearly a millennia, so what could have possibly happened to push him to this extreme (one we never once heard him mention)? In retrospect, the first alternate reality was the most realistic one for me. Without all that Mikaelson money, I’m surprised there was even a school, to begin with. What now? While this episode felt a lot like a filler, I think this episode was meant to set up the storylines for the twins. Alaric and Caroline are desperately trying to find a way to avoid the merge while the twins are in the dark. Now we know what will happen if they continue to keep this secret. Lizzie’s mental instability will probably make the situation a lot worse. With each jump to another reality, we saw her mental state get worse and worse. Those jumps seem to have affected her in this reality. But the twins are still quite a bit away from their 22nd birthday. I doubt the writers are going to drag it out for that long. Perhaps the events of the third alternate reality will repeat themselves. 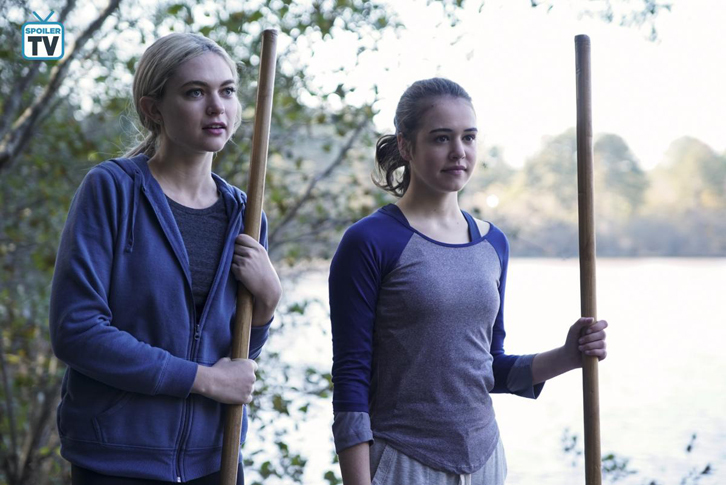 While Lizzie loves her sister, I don’t find it that hard to believe that she would grow paranoid if she found out and cause her sister’s death by losing control, though I don’t think they’ll kill Josie off.